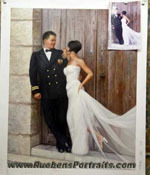 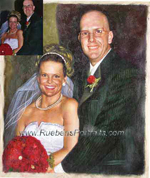 A wedding portrait of the happy couple makes a marvelous, original gift ? order one as a late wedding present or as an anniversary gift. 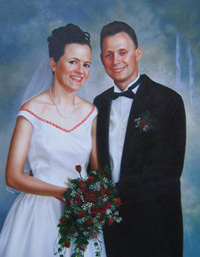 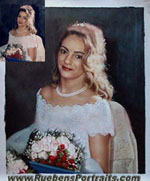 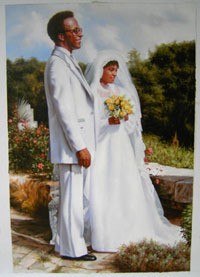 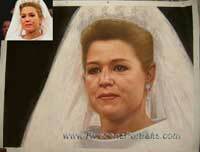 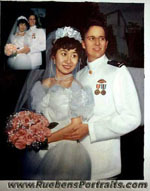 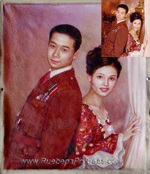 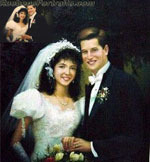 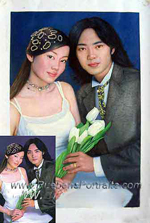 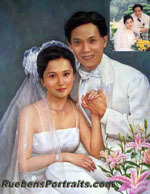 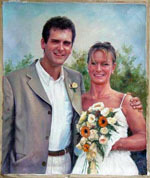 My wedding portrait price includes the cost of painting the bride and groom in wedding dress with floral bouquet.